Munchem Academy is a newer series. 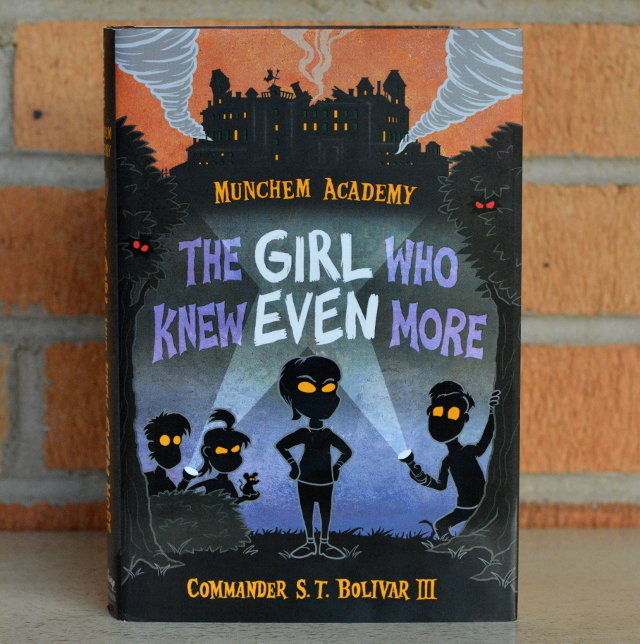 The second book: Munchem Academy: The Girl Who Knew Even More, is another foray into how Mattie Larimore eventually becomes the world’s greatest thief. You may be hesitant at that premise, but you should know that this is not just a context of good or evil. Commander S. T. Bolivar III paints a complex picture of how the ultimate good kid, Mattie, slowly learns to make his own choices. Mattie has no choice but to attend Munchem Academy. The academy is now supported by his father’s company. Instead of proper teachers the company’s inventors and scientists take on the classes. Assignments include questionnaires and strange formulas. The students are essentially the first line of guinea pigs for all new products. Mattie is now struggling with keeping the cloning machine from last year under wraps. He doesn’t want his father to suffer in the press. He and his friends, sometimes including his older brother, Carter, find themselves involved in another coverup. Someone at Munchem is playing around with weather. There are thunderstorms inside classrooms and tornadoes on the lawn. The gym is off limits to students entirely and eerily glows at times. I truly believe that Commander S. T. Bolivar III fills the void of Lemony Snicket. The Munchem Academy books are just as playful. With references to how the Commander is the official biographer of Mattie Larimore’s life. He knows more than certain other biographers. The Commander doesn’t always know exactly what Mattie is thinking, but he has a fairly good guess. This installment sees Mattie really questioning what it means to be good. He wants to stop bad things from happening and realizes that being good may not work. He tries his best to be a good kid, but when he fails over and over, he decides to be bad. This isn’t outright bad but more that Mattie breaks the rules on purpose and harms a few insects in the process. Mattie is doing what he thinks is necessary to prevent lots of people from being hurt or worse. This is a case which helps to form Mattie into the world’s greatest thief. A thief that I expect may just have a heart of gold that he never needed to steal. As you can see we had quite the selection from Disney Hyperion. They have titles for all age groups. From the first chapter book with pictures to the best selection of coloring books. 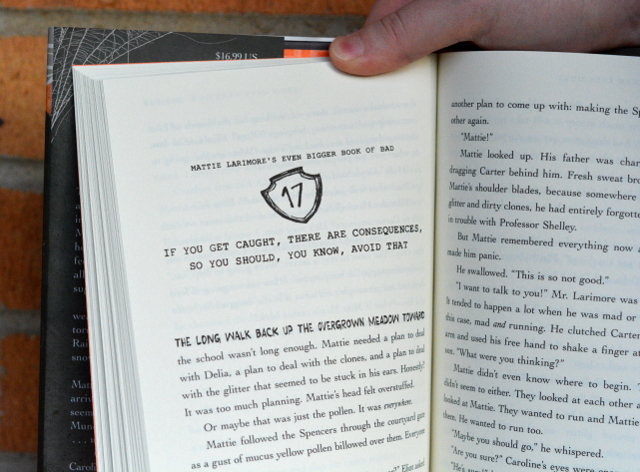 Find yourself in a different world between these pages!